John Makhoul is a Chief Scientist at BBN Technologies, where he has been working on various aspects of speech and language processing, including automatic speech recognition, optical character recognition, human-machine interaction using voice, and machine translation. He is also Adjunct Professor at Northeastern University where he supervises graduate students doing their graduate thesis work at BBN. He is a Life Fellow of the Institute of Electrical and Electronics Engineers (IEEE), a Fellow of the Acoustical Society of America, and the recipient of a number of awards from the IEEE, including the IEEE James L. Flanagan Speech and Audio Processing award and medal, the highest presented in that field. Dr. Makhoul has served as President of the Association of Arab American University Graduates and has served on the Board of the Alumni Association of the American University of Beirut (AUB). 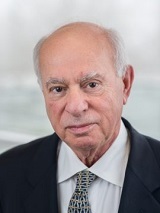 Currently he serves on several advisory boards, including the External Advisory Committee of the AUB Department of Electrical and Computer Engineering. Dr. Makhoul was born in Deirmimas, Lebanon, and has degrees from the American University of Beirut (B.E., 1964), the Ohio State University (M.Sc., 1965), and M.I.T. (PhD, 1970), all in electrical engineering. Hani A. Faris is Adjunct Professor in the Department of Political Science and a Faculty Associate in the Institute of Asian Research at the University of British Columbia. He served on the faculty of various academic institutions including the Political Science Department at Kuwait University; the School of International Service at the American University in Washington, D.C.; the Centre for Middle East Studies at Harvard University; the Department of Political Science & the Institute of Islamic Studies at McGill University; and the History Department at Simon Fraser University. Among the books Dr. Faris has authored, co-authored and edited are Sectarian Conflict in the Modern History of Lebanon (1980); Beyond the Lebanese Civil War (1982); US Policy in the Middle East (1984); The Arab Position on the Israeli Invasion of Lebanon (1983); Arab Nationalism and the Future of the Arab World (1987); The One State Solution to the Arab-Israeli Conflict: A Country for All its Citizens (2011) and Failure of the Two-State Solution: The Prospects of One State in the Israel-Palestine Conflict (2013). He has written more than 50 book chapters & articles in professional journals on such topics as Arab politics, Arab nationalism, the Middle East in world politics, Lebanese politics & institutions, history of the Palestinian issue, Zionism, and Third World development. He appeared on national, provincial, and local T.V. and radio programs in Canada, U.S.A., U.K., France, Lebanon, Kuwait, & the United Arab Emirates & was interviewed or quoted in the New York Times, Financial Post of Canada, and a large number of Middle Eastern newspapers and magazines. Dr. Faris has served as Assistant Director General of the Palestine Research Center (1967–1968); Academic Vice Dean for Graduate Studies at Kuwait University (1978–1981); President of the Association of Arab–American University Graduates (1984–1985); advisor to the Canadian Institute for International Peace and Security (1989–1991); member of the Board of Editors of Arab Studies Quarterly (1987–1990), member of the Board of Editors of Contemporary Arab Affairs (2008-2017), Policy advisor to the Palestinian Policy Network Al-Shabaka (2010-Present) and Memeber (2000-Present) and President (2007-2013) of the Board of Directors of Trans Arab Research Institute. Seif Da’na is assistant professor of Sociology and International Studies at the University of Wisconsin-Parkside. In addition to sociological research in the fields of social theory and sociology of the Environment, he is the author of many articles, book chapters, and encyclopedia entries on the Palestine question and the Arab World including “Correcting Corrections: De-reifying the New Israeli Historiography” in the Arab Studies Quarterly (V.28 (2). 2006), "The Rise of Palestine and the Demise of Oslo: the Historical Significance of the Palestinian Intifada", in Middle East Affairs (Vol. 7. No. 1-2, 2001). The most recent book chapters include “History and Race Consciousness in the Arab World: Colonial Capitalism and the Construction of Race” in “Race and Identity in the Nile Valley”, Red Sea Press. 2004, and “Silencing Palestine: School Curriculum, the Construction of Master Narrative, and the Internalization of Defeat” in Teaching Islam, Lynne Rienner, 2006. In addition to his scholarly publications, he has published a number of commentaries on the Middle East in the Opinion Page of the Egyptian AL-Ahram Weekly as well as contributing to Palestinian Journals. Nadia Abu El-Haj is professor in the Departments of Anthropology at Barnard College and Columbia University, and Co-Director of the Center for Palestine Studies at Columbia. 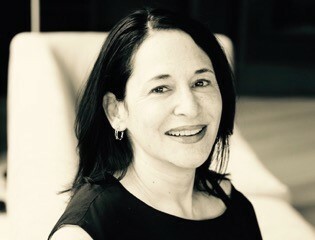 The recipient of numerous awards, including from the Harry Frank Guggenheim Foundation, the Social Science Research Council, the Wenner Gren Foundation, the American Council of Learned Societies, the MacArthur Foundation, the Harvard Academy for Area and International Studies, and the Institute for Advanced Study at Princeton, she is the author of numerous journal articles published on topics ranging from the history of archaeology in Palestine to the question of race and genomics today. Abu El-Haj is the author of two books, Facts on the Ground: Archaeological Practice and Territorial Self-Fashioning in Israeli Society (2001), which won the Albert Hournani Annual Book Award from the Middle East Studies Association in 2002, and The Genealogical Science: The Search for Jewish Origins and the Politics of Epistemology, published by the University of Chicago Press in 2012. Her major research interests lay at the intersection of anthropology and history of science. While Abu El-Haj’s two books to date have focused on historical sciences (archaeology and genetic history), she is now working on the field of military psychiatry, exploring the complex ethical and political implications of shifting psychiatric and public understandings of the trauma of soldiers. Provisionally titled, The Ethics of Trauma: Moral Injury, Combat, and U.S. Empire, this book examines the myriad forms and legacies of violence that the wars in Iraq and Afghanistan have unleashed, and how it is that so many of its attendant horrors remain hidden in plain sight. Leila Farsakh is Associate Professor of political science at the University of Massachusetts, Boston. She is the author of Palestinian Labor Migration to Israel: Labour, Land and Occupation, (London: Routledge, second edition, 2012) and editor of Commemorating the Naksa, Evoking the Nakba, (a special volume of Electronic Journal of Middle Eastern Studies, in Spring 2008), as well as of numerous journal articles on the political economy of the Israeli-Palestinian conflict and on the One-State solution. Dr. Farsakh holds a Ph.D. from the University of London and an M.Phil from the University of Cambridge, UK. She has worked with a number of international organizations, including the Organization for Economic Cooperation and Development (OECD) in Paris and since 2008 has been a senior research fellow at the Center for Development Studies at Birzeit University in the West Bank. In 2001 Dr. Farsakh won the Peace and Justice Award from the Cambridge Peace Commission in Cambridge, Massachusetts. Atif Kubursi is Emeritus Professor of Economics at McMaster University, Canada. He taught economics at Purdue University in Indiana, USA, was visiting Scholar at Cambridge University and served as the Acting Executive Secretary, and Undersecretary General, of the United Nations Economic and Social Commission for Western Asia. He authored 12 books including The Economic Consequences of the Camp David Accords (Institute of Palestine Studies) and Oil, Industrialization & Development in Arab Gulf States (Routledge), Food and Water Security in the Arab World (World Bank) and over 250 papers in academic and professional journals and technical reports. He holds a B.A. in economics from the American University of Beirut, and M.Sc. and Ph.D. degrees in economics from Purdue University, USA. Saree Makdisi is Professor of English and Comparative Literature at UCLA. He has published extensively on the culture of modernity in Europe and its afterlife in the contemporary Arab world. He is the author of two books, Romantic Imperialism (Cambridge University Press, 1998), and William Blake and the Impossible History of the 1790s (University of Chicago Press, 2003), and has contributed articles to leading academic journals as well as edited volumes. In addition to his scholarly publications, he has published a number of commentaries on the Middle East in the editorial pages of newspapers including The Chicago Tribune, The San Francisco Chronicle, The Cleveland Plain Dealer, The Houston Chronicle, An-Nahar (Beirut), The Nation, The London Review of Books, and particularly The Los Angeles Times, to which he is a frequent contributor. Ghada Talhami is D.K. Pearsons Professor of Politics, emerita, at Lake Forest College. She previously taught at University of Damascus, University of Tunis, School of the Art Institute–Chicago, University of Illinois–Chicago, and California Polytechnic State University at St. Luis Obisbo. She is on the Board of Editors of Arab Studies Quarterly and Muslim World. Her articles concern the politics of modern Egypt, modern Syria, contemporary Iraq, the Palestine question, Palestinian refugees, Arab and Muslim women, development in the Arab World and the Jerusalem question, among others. She is the author of several books, the latest being Historical Dictionary of Women in the Middle East and North Africa. She is currently working on a study of American presidents and Jerusalem.